Simple, refreshing and wholly Italian, salad should be an addition to summer repertoire. It is called a salad, but it is often served as a meal in a plate – with nothing other than some chilled fruit for dessert. When Italians are not making Risotto, they treat their rice like pasta. They immerse it in tons of water with salt, boil it and strain it. Unlike many Asian and Indian rice varieties, Italian rice is never rinsed or soaked before use. 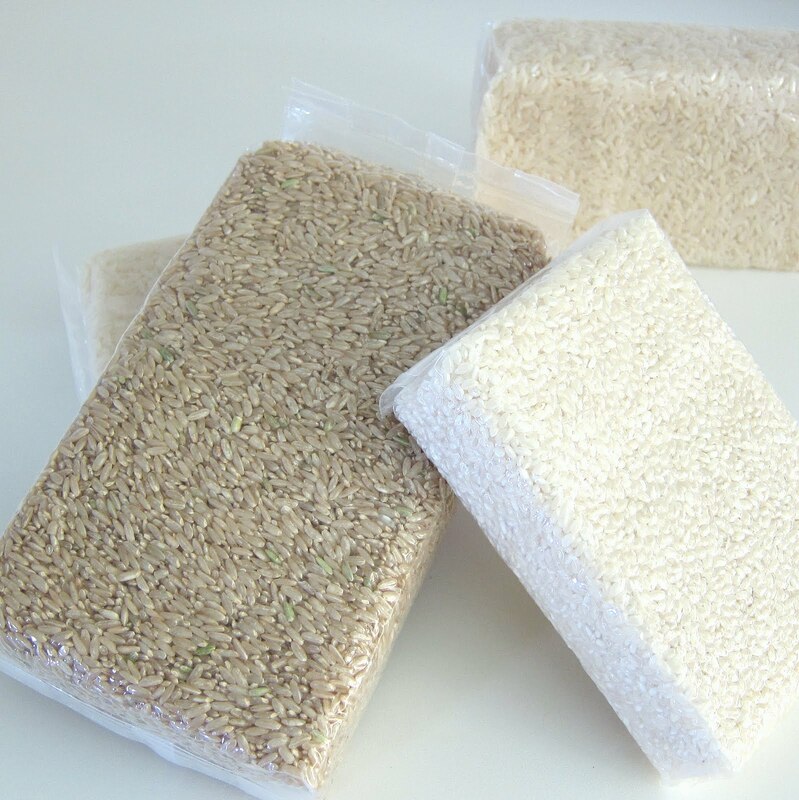 The rice is sold in vacuum-packed bricks which stops the grains from rubbing against each other during transport (breaking and scraping the kernels). This unique packaging also keeps the grains “fresh” and ensure no debris or insect enter the bag after the rice has been cleaned, aged and dried under the most controlled and hygienic conditions. Like many Italian dishes, this salad is incredibly flexible. You can substitute the Ham with sliced Wurstel (Hot Dog), Tuna Fish or Salami. The Capers can be substituted with pickles or jarred artichokes (to keep the vinegary note). Feel free to add peas, celery, cucumbers… the variety is endless and is only limited by what you have growing in your garden, or hiding in your fridge. Or ca be incredibly simple, with just the addition of tomatoes, mozzarella cheese and basil. To the pressure cooker add the rice, water, salt and olive oil. Prepare the sink with a fine-mesh or rice strainer. Close and lock the lid. Turn the heat up high and when the pan reaches pressure, lower the heat and count 4 minutes cooking time at HIGH pressure. When time is up, release pressure slowly. Immediately pour out the rice into the strainer in the sink and run cold water on it to stop it from cooking and to rinse away any starch. In a mixing bowl mix the rice with the rest of the salad ingredients. Children can assist in the preparation of pressure cooker but should not be involved in the cooking, monitoring and opening of the pressure cooker. I’m Italian, and as you can image, this is a recipe with thousand of variations, depending of the family, which part of Italy comes from, etc., etc. Personally I don’t like to pass the cooked rice under the running water to cool it, it lose a lot of flavour in my opinion. I just pour it in a bowl and add some olive oil and let it cool by itself, mixing it often. Once it reached a temperature that doesn’t melt the cheese I use I add it to the rest. As you mentioned this is a kind of salad made for the “left overs” flooding around in the kitchen and in the fridge. I prefer to use hard cheese (parmigiano, pecorino) instead then mozzarella, that sometime release too much liquid. To everything you already mentioned I add a lot of different kind of pickles, olives, often wiener sausages. At the end, some drop of balsamic vinegar. That sounds like a fantastic salad .. I would love to try that with some orzo!